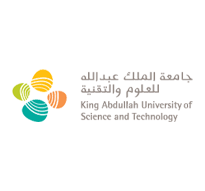 Job Summary	The Business Analyst and Reporting Specialist oversees all aspects to the provision of high quality information to support the strategic direction of student recruitment until the student is enrolled at KAUST. Developing processes to validate the data integrity of Admissions and Enrollments data is paramount to this role, which requires close coordination with the Lead Developer and senior leadership of the Admissions and Enrolments team. This position requires someone with a passion for problem solving, who will analyse information in a systemic way and develop ways to improve aspects ofrnreporting. The Business Analyst will work closely with all senior members and other staff of the Admissions and Enrollments team, and the Dean of Graduate Affairs at times directly. In addition, this role will work with the Graduate Affairs Operations team on developing reporting capability of Admissions and Enrollments data through improving access, time lines and visualization of the critical data needed to improve strategic decision making.rnMajor Responsibilities	rnLead problem solving approaches to data discrepancies and redundancy in reporting tools in relation to Admissions information. This may require detailed analysis, development and testing.rnProvide crucial support to the senior leadership of Admissions and Enrollments and the Dean of Graduate Affairs for ad-hoc and operational reporting.rnWork with the Graduate Affairs Operations team to ensure reporting tools and system development s are being incorporated in all completed Admissions reporting requirements.rnWorking with the Lead Developer to ensure system enhancements are developed and approved in a manner that will not impact negatively on reporting of admissions and onboarding information.rnManage database structures and analytical query tools to promotes timely and accurate reporting. rnConsult, support and/or troubleshoot IT system and procedural matters relating to AY if necessary, where needed to support the efforts of the Admissions and Enrollments team.rnIn consultation with the Operations team, manage the data migration process between the Admissions System, SLCM and the Business Intelligence data warehouse.rnAssist the Lead Developer to create improved system controls to provide greater information integrityrnDevelop and maintain functional specifications on reports and dashboards.rnProvide training and support to users of the analytical outputs of Admissions information.rnDevelop forecasting tools on Admission information to assist groups such as the Admissions Standing Committee.rnTo ensure the integrity of KAUST's student -related information through the effective management of critical reporting hierarchies & mappings and reconciliations. rnAdvise Saudi Initiatives (if required) on ad-hoc reports as directed by the Director of Admissions and Enrollments.rnOther duties within the range of skills normally associated with this type if position, as requiredrnOrganization	Academic AffairsrnDivision	Graduate AffairsrnTechnical Skills	rnCompletion of a relevant Business or Information Technology degree, combined with extensive expertise in database management or equivalent education, training and experience.rnProven expertise in database management and use of structured query languages.rnAble to effectively utilize various data analytical and reporting tools.rnNon-Technical Skills or Attributes	rnStrong people, project management and communication skills.rnExcellent interpersonal skills, including effective liaison with senior and executive staff and other stakeholders.rnRequired Education	rnBachelor of Information Technology; Bachelor of Computer Science or equivalent.rnPreference for a Masters degree .rnRequired Experience	rnAt least 5 years' experience in a similar role.